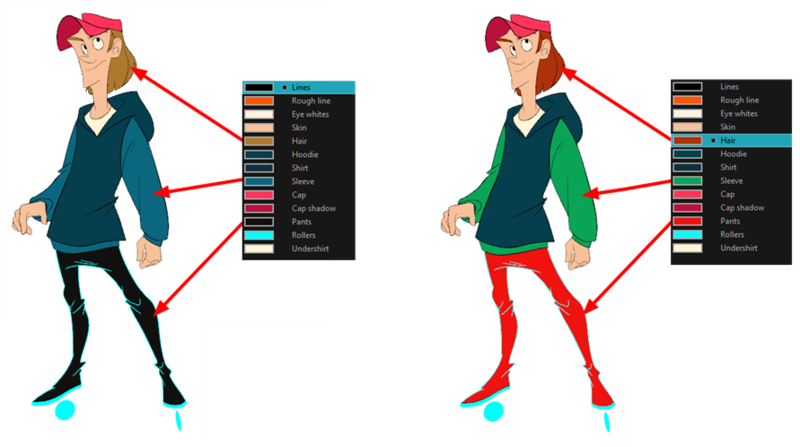 Toon Boom Harmony has some very powerful painting features to add colour to your drawings. Whereas some other software only allow users to work with on colour swatch at a time, painting in Harmony is done by using palettes containing multiple colour swatches that can be saved and reused as needed. 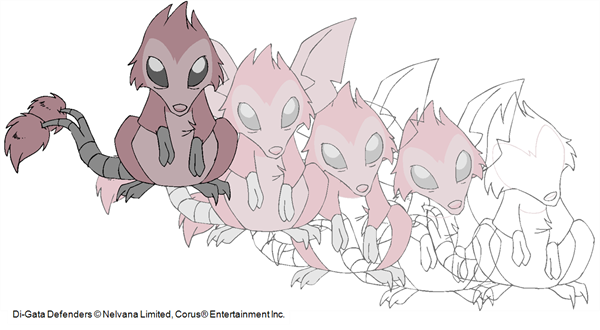 In the Colour view, you choose a different colour swatch for each colour you want to paint in your drawing. You can add as many swatches as you want. You can also rename them and modify existing ones. When you modify the colour of an existing swatch, it automatically updates all the zones painted with this swatch throughout the entire project. 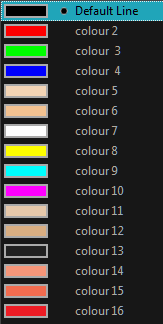 The colour swatch has a unique ID number that associates it with the painted zones. This way, you can change the look of your character at any time without having to repaint it! Another advantage of this system is that you can create complete palettes for different lighting situations. For instance, in addition to the regular palette for a character, you could have one for that character in the rain using colours that are duller and less vibrant than the dry daytime colours, or yet another for using in a night scene. Using palettes linked to your character in this way allows you to instantly change its colouring to suit the mood and atmosphere of the scene without tediously repainting each element.